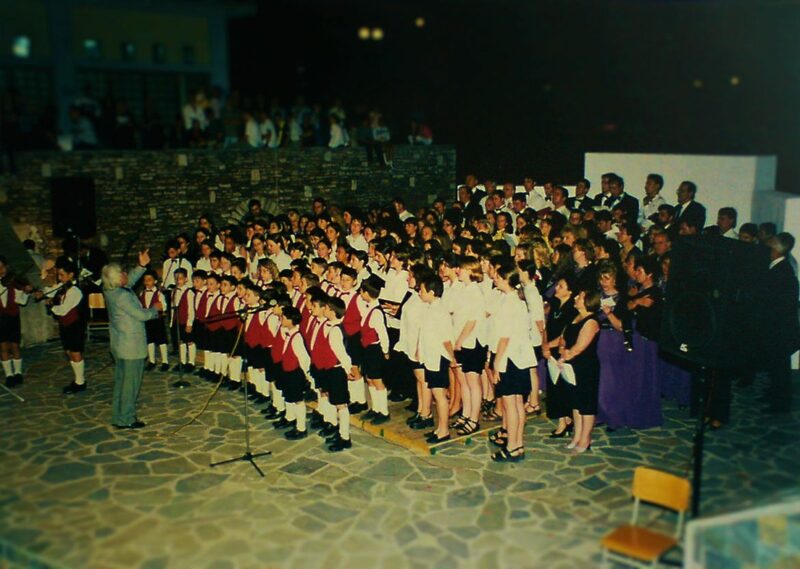 Established back in 1988, the AV International Choral Event in Karpenissi is one of the most prestigious and long-lived Choir Festivals in Europe. The festival event has rendered the holding place of the Festival, the city of Karpenissi, a pole of attraction, culture and tourism bringing together more than 800 friends of the choir art each year (conductors, choir members, orchestra musicians, escorts, etc). 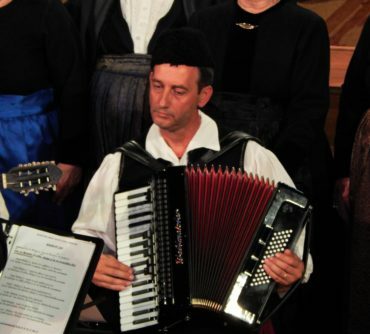 The International Choir Festival of Karpenissi and the International Choir Competition “Antonio Vivaldi” are being co-organized by the Musical Cultural Association Choir of Karpenissi “Antonio Vivaldi”, with Professor George Xenakis playing the role of the artistic director and the president of the organizing com­mittee, and the Municipality of Karpenissi. 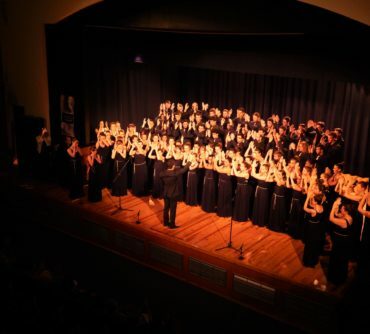 During the past 19 editions of the international choir festival and the 14 editions of the international choir competition, the AV Choral Events have hosted more than 250 prestigious choirs, orchestras, vocal ensembles and folklore groups from countries such as Greece, Cyprus, Bulgaria, Romania, Italy, Germany, Poland, Portugal, Czech Republic, Turkey, FYROM, France, Hungary, South Africa, Israel, Singapore, Croatia, Norway, Philippines, and Kenya. 2017: The organizing committee of the competition event develops a new concept for the festival events by introducing the Open Concerts in the countryside of Karpenisi with the ambitious aim to enable the festival visitors to meet the extraordinary virtues of the Evrytania region. The committee also decides to introduce a new competition category for choirs specialized in Byzantine music. The total of competition categories now becomes eight. 2015: The organizing committee of the competition event introduces the special awards of the Distinguished Conductor. This special title is awarded to choirmasters with a continuous contribution and participation to the International AV Choral Events. 2014: The Festival Gala(s) are being organized for the first time, providing joyful moments of entertainment, singing, dancing, food tasting to the participating group of choirs and locals. 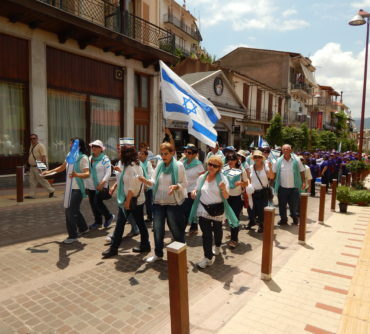 2011: The festival parade is organized for the first time and is being considered as the festival highlight since then. The artistic jury of the competition event awards for the first time some important special awards to the competing choirs, including a) the Master Conductor award, b) the Best Folk Performance Award, and c) the Best Choir of the Competition Event. 2010: The organizing committee of the competition event introduces two new competition categories for choirs specialized in Sacred music and in Jazz&Modern Music. 2008: The International AV Choral Events are organized annually. 1998: The International Choir Competition Antonio Vivaldi is organized for the first time along with the International Choir Festival of Karpenisi. Choirs participating in the competition event can now compete in the following five competition categories: Mixed Choirs, Male/Female Choirs, Children Choirs, Chamber choirs, Folk Choirs. 1992: Group works are now performed by interested choirs, giving a unique opportunity to the groups to sing together. 1988: The first choir festival has been successfully organized with no less than 8 choirs. The festival is being organized once per two years.